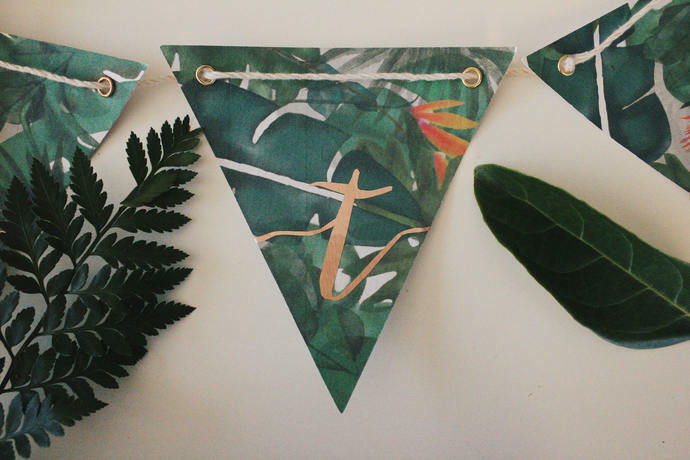 This tropical themed bunting with gold foil lettering is perfect for birthdays, weddings, showers or to add an eye-catching touch to any room! 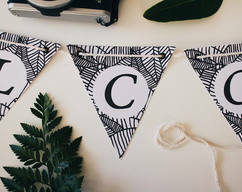 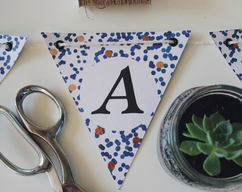 I design each bunting flag individually, add gold lettering, and hang on a 100% cotton rope. 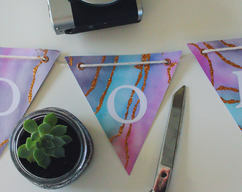 No two flags are the same! 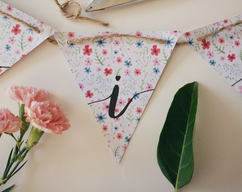 Each flag measures 13cmx13cm and is printed on high-quality cardstock, with metal eyelets attached in each corner.